These dilemmas, and others like them, have a simple, one-word answer: Yup. If you want freelancing to be your “forever job,” one key is to achieve a healthy–or at least sustainable–mindset about the job. And part of that is accepting the realities of the market(s) that you work in. Expecting a certain type of client to act like a completely different type of client is like any other unrealistic expectation: the object of your frustration is unlikely to change, and you’re likely to remain frustrated. You wouldn’t get a pet cat and then complain that it refused to play fetch, or walk on a leash, right? So, don’t do that to your clients. There’s a better way. This is a simple but very important truth: every type of client has pluses and minuses. The same is true of language combinations, and also of specializations. For example, if you do legal translation, you have the advantage that there’s tons of work, perhaps more content than you could translate in a lifetime. But you have the disadvantage that most legal translation clients aren’t interested in word artistry, and are only having the translations done because they must. They’re mostly interested in a fast, accurate translation, not a work of art. And either you accept that, or you don’t work with them; you don’t expect a law firm to act like a publishing house. 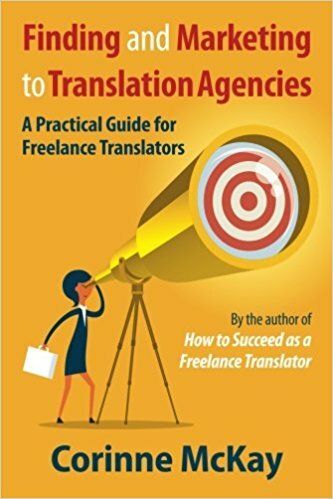 Understand the basic parameters of a translator’s work: for example that we generally translate into our native language only, that industry expectations for volume are about 2,000-3,000 words per day, that if we are working from a non-editable document like a locked PDF, we have to talk up front about how the translation will be delivered, etc. Are often willing and even eager to discuss word choices, the purpose of the translation, different options for things like headlines, etc. Can often assess the direct results of your work: more web traffic, more inquiries, etc. You can run this kind of analysis on your own clients. It’s important, at least in your own mind, to be realistic about the markets you work in, so that you’re not endlessly frustrated over aspects of those markets that will never change. Readers, over to you: any thoughts on the realities of the markets that you work in? Paid by the word or paid by the hour? Sub-optimal rates: "better than nothing," or not? Totally agree with you in that we shouldn’t try to change our clients. I see my job as adapting to whatever my clients need, (just as important as the quality of the translation in my view). If you’re not happy with a client, move on and try to find clients that fit with what works for you. Exactly. You take it or leave it –that’s the freedom we get in freelancing. Thanks, Daniela! Glad you liked it! I think it’s very important to know what things/attitudes of clients we CAN often times change with the right persuasion (i.e. we shouldn’t accept everything as given) and which one’s we can’t, and to indeed accept the market as it is, and in any case not get frustrated. Thanks Jana, that’s a great example! And even better that you’ve found agencies willing to do that! All points you have shared are wonderful and helpful to build our business agencies stronger than before. Especially, these 3 points everyone should read it translation agencies, direct clients and Different markets, different realities from my point of view these are main points of the articles. Very succint post. I agree with all of the above comments. In addition, I have a list of “stuff I can live with” and “stuff I will absolutely not accept”. Alas, we don’t live in a perfect world and there is no perfect client. I work with several agencies. Sometimes they also need a little bit of “client education”. Job specs in a mass e-mail from an LSP aren’t necessarily final. I have learned to “negotiate terms” with agencies and have been very surprised with the results. You won’t get all the jobs but just remember that sometimes LSP specs include a little bit of “hedging”. In other words, sometimes they really have a little bit more time and a little bit more budget! I felt like this article was written just for me 🙂 Thank you! The best agencies are the ones that don’t send out mass emails and who are happy to have a personal relationship! I’ve been gradually replacing the impersonal, “churn-out-the-work” agencies with the kind of agencies that I actually want to have a long-term relationship with.